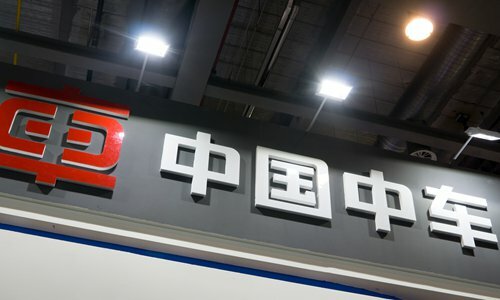 Moves taken by some Western companies against imaginary enemies from China, such as certain industry conglomerates like CRRC Corp, reflect those countries' prejudice against China's state-owned enterprises (SOEs) as well as their fear of potential competition from China, experts commented on Monday. One example is the merger proposal between two European juggernauts, France-based Alstom and Germany-based Siemens. According to a report by AFP on February 6, the merger was hailed as the birth of a "much-needed" European industrial champion to "face down a formidable Chinese rival," referring to China's state-owned rolling stock manufacturer CRRC Corp. The EU recently turned down this merger proposal on the ground that the deal might lead to rising costs, according to the AFP report. But this decision has annoyed some French officials, with French Finance Minister Bruno Le Maire saying that the refusal would "serve the interests of China," the report noted. Although the proposal was turned down to prevent oligopoly, it reflected the growing vigilance among the West toward Chinese firms. And what lies behind the merger proposals is European countries' wariness of China's rising economic competence and global business expansion, experts said. "In a general sense, European countries have grown more and more anxious in the past three or four years as they worry about the possibility that Chinese companies might take a huge bite out of their local market in the future," Zhao Junjie, a research fellow at the Chinese Academy of Social Sciences' Institute of European Studies, told the Global Times on Monday. Those worries are also aggregated by shrinking confidence as a result of Europe's sliding economic competence and lack of innovation, Zhao said. "Because of those worries, they are using excuses to act against Chinese companies." The mood of fear regarding large Chinese companies is also spreading in some other developed economies. The US, for example, has taken action in recent years to block investment by large Chinese companies, particularly high-technology ones. "Many of the Western countries have a prejudice against China's SOEs, always insisting that there's a government hand behind the companies' business operations. The fact is that with the joint stock reforms of the SOEs, their commercial decisions are market-oriented," Cong Yi, a professor at the Tianjin University of Finance and Economics, told the Global Times on Monday. But experts said that such twists and turns won't hinder Chinese companies' steps for opening-up or their determination to participate in global competition. "For domestic industrial giants, they should understand that external obstruction is normal phenomenon. If they can enhance their business competence by reducing costs and solving technical bottlenecks, then their products will win overseas customers in the long term, with or without the political obstruction," Cong said. Chinese companies should also learn to adapt to international rules instead of just offering cheap prices in overseas markets, Cong said. Zhao said that despite the rising defenses by Western countries, there's still room for cooperation. "For example, Chinese companies can work with European countries to explore third-party markets, which would likely bring about a win-win situation. For existing projects, Chinese companies should also implement them well so that the companies can earn a good reputation in local communities, which will bring about future business opportunities," he said.